Over the last 5 years Ofer Dishon has been working in educational counseling, marriage counseling and family counseling for The Private Redemption Foundation. He helped 100’s of the organization’s clients to go out from their situations and to stand strong again on their own two feet. At the same time of his release from the army, where he served first in the artillery and then as an administrative officer in Jenin, Ofer Dishon deepened his study of theory of mind at the Chabad yeshivas and at the institute of “knowledge and wisdom” of Rabbi Yitzhak Arad. He acquired extensive knowledge of the theory of mind according to the esoteric teachings of Kabbalah, and Chassidic teachings of the Lubavitcher Rebbe. By uniquely blending these teachings with modern psychology, he helps families rebuild their lives. 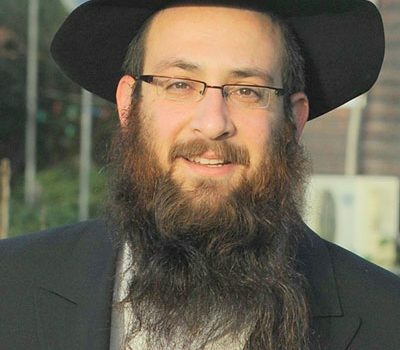 Following his unique work on behalf of youth at risk, Ofer founded and directed the Education Committee in Kfar Chabad, Israel’s largest Chabad community. The purpose of the establishment of the Education Committee was to take care of children at risk before they dropped out of the educational system. Within 3 years he accomplished his goal — the dropout rate declined in excess of 90%. Today, Ofer also works in schools of the Ministry of Education as an educational consultant, empowering educational staff training and strengthening protected from sexual assault. Marriage counseling work specializes in unique communities including ultra-Orthodox families, baal t’shuvah families (families that have recently become religiously observant), and families with more complex challenges. Ofer Dishon lectures at the International Center in Israel as a marriage counselors facilitator and trainer, as well as lectures and seminars at Beit Rivka College Teacher Training Colleges. copyright © Privateredemption.org l All Rights Reserved.